Today, Ubisoft released an interview with Jon Van Caneghem, the father of the Might & Magic Heroes saga, to celebrate the 20th anniversary of the brand. A few weeks ago I announced that Whalebox Studios had officially started their Kickstarter campaign for Goliath, their upcoming massively open world survival game that thrusts you into a world ruled by long forgotten monsters. Your only chance at surviving and discovering the truth behind the reappearance of these horrific giants, is to craft your mechanical Goliath’s and fight back! Today I’m thrilled to share with you my exclusive interview with Artem Bochkarev, the producer on Goliath. This interview has been several weeks in the making and I hope you’ll get a new level of insight into this exciting upcoming game. Here’s a quick refresher in case you aren’t yet familiar with Goliath. 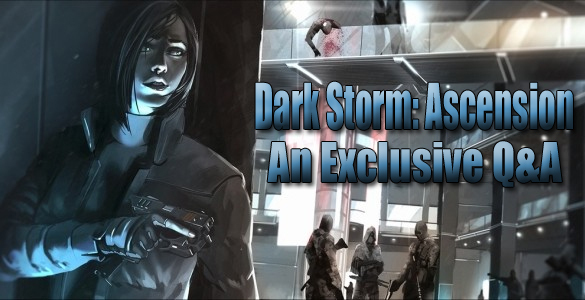 However today we’re looking to bring you a whole new level of insight into Dark Storm: Ascension as I had the great pleasure of interviewing Christopher Lee Buckner, the Lead Writer that has been responsible for creating the deeply immersive story.